Congratulations to our Client 1 Voice for their feature in The Boston Globe! Introducing 1 Voice – a Bluetooth enabled beanie with headphones built-in which streams high quality music from your portable device.Â The beanie is made of a tight knit to keep you toasty on a chilly day. Look good as you enjoy your favorite tunes while going for a run, commuting to work, or hitting the slopes.Â No more dangling wires. 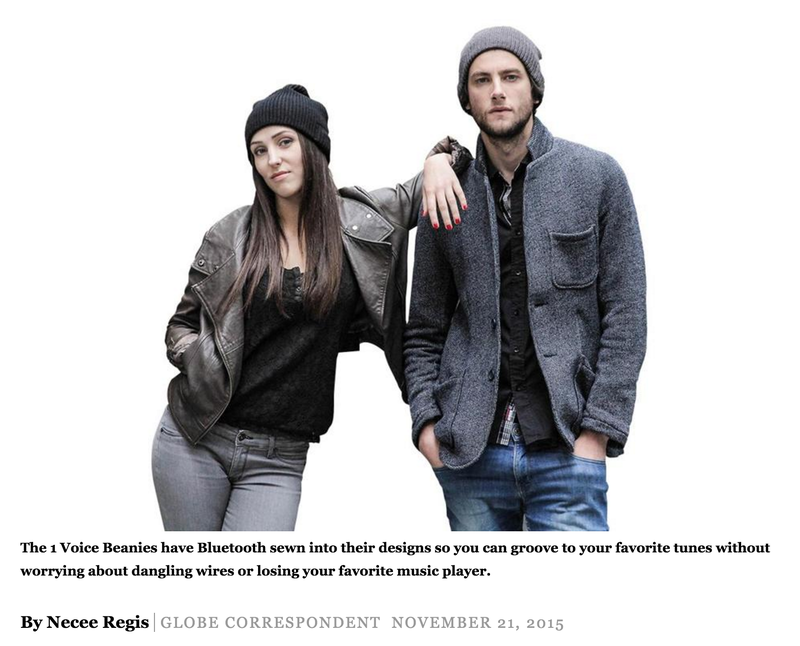 Sound disks and Bluetooth receivers are built right into the beanie for unbelievable sound quality. Check them out at 1voicenyc.com!